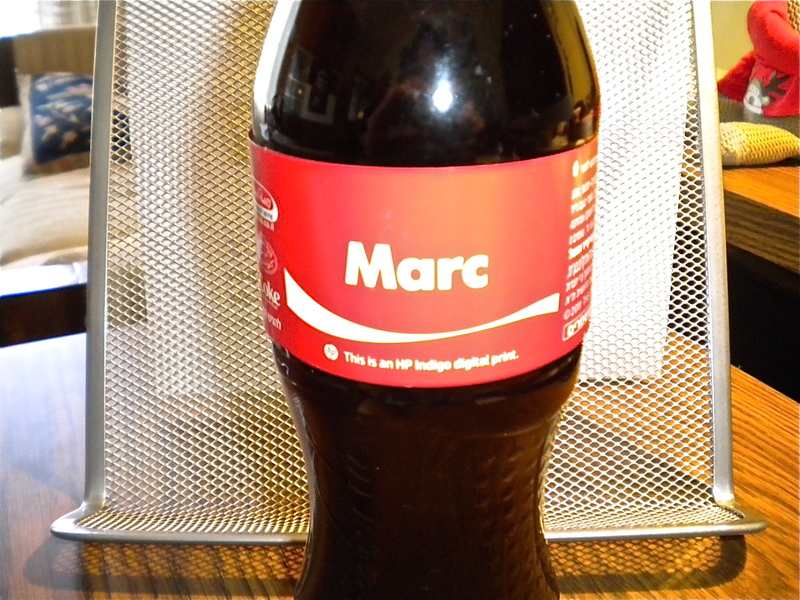 From the consumer’s perspective, the recent “Share a Coke” campaign across the European continent is a fun, exciting experience: Go to your local retailer, find a bottle of Coca-Cola labeled with the name of someone you’d like to share it with…and share it! From the perspective of Coke, the bottlers, the label converters and other segments of the packaging supply chain, however, the 18-month adventure (aka Project Connect) was an initially insurmountable challenge that eventually became the new standard to beat in the world of custom, digitally printed labeling. Gregory Bentley, packaging innovator with Coca-Cola Europe (Brussels, Belgium), detailed some the project parameters in his presentation Tuesday during the HP Indigo Worldwide VIP Event in Israel. 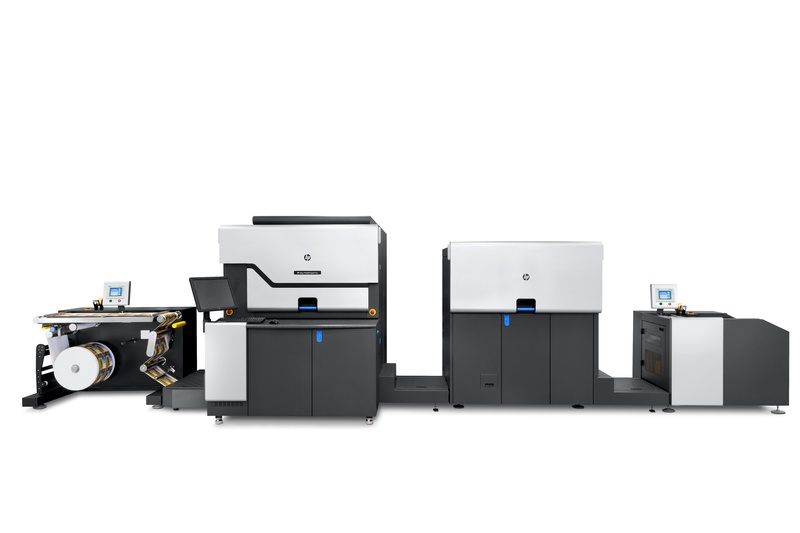 Bentley says that Coca-Cola chose HP Indigo for the project “due to its high image quality, color accuracy, customer press availability” and the company’s ability to develop a proprietary Coke Red ink color that has since become the standard for digital printing across Europe. on Project Connect. 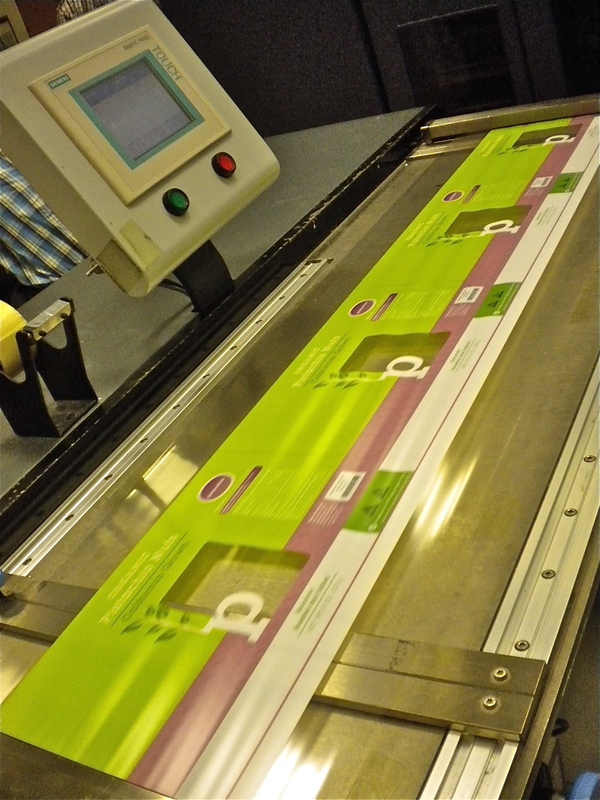 Basically, conventional labels were at first printed in wide-web gravure or flexo with gaps in them into which the different names in different languages and alphabets were digitally printed. Converters Eshuis and Printpack guided the printers, and bottlers Hellenic and Coca-Cola Enterprises helped jointly managed the program. When all was said and done, “The conventional printer was responsible for the quality of the finished label rolls to the Coke bottlers, as it is today,” Overbeek explains. Conventionally printed film was slit into 330-mm-wide rolls, shipped to the DPs and inserted on the digital presses in-register with narrow tolerances in operating windows, then digitally printed in one color—2 Coke Red or 2 Black. My Thoughts: As far-reaching, complex and technically challenging as the “Share a Coke” campaign is, perhaps the most surprising aspect was the close cooperation of competitors in Coke’s labeling supply chain. They were basically asked to reveal details of their operations to each other—both the conventional and digital printers. 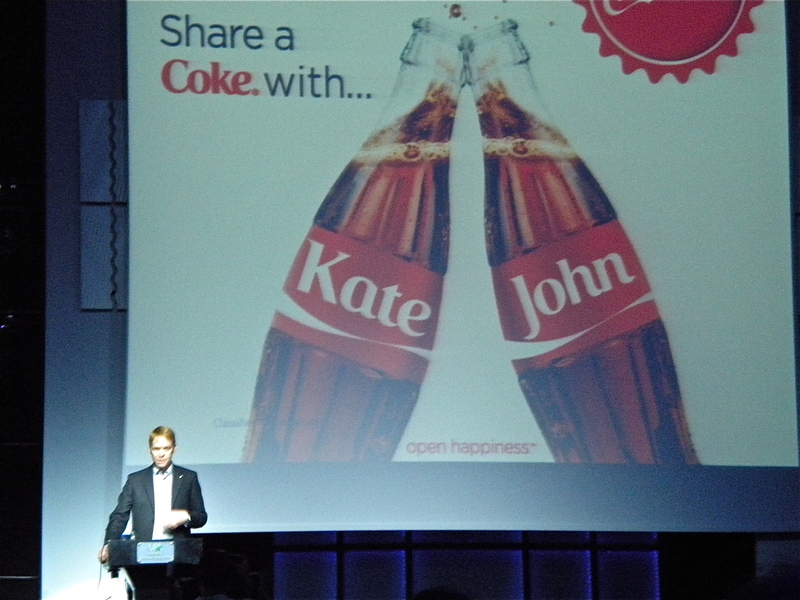 But despite this, the suppliers came together for the good of the project (oh, and their ultimate customer—Coke). This entry was posted in digital printing, labels, package printing and tagged Coca-Cola, coke campaign, Coke Light, Coke Zero, converting, digital printing, Exxon Mobil, flexography, gravure, hp indigo, labeling, labels, manufacturing, packaging, plastic film, printing, technology. Bookmark the permalink.